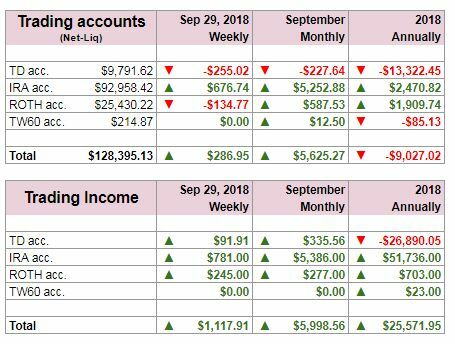 September 2018 is over and it is time to report our trading and investing results. Overall September was a great month but it was also a very volatile month. 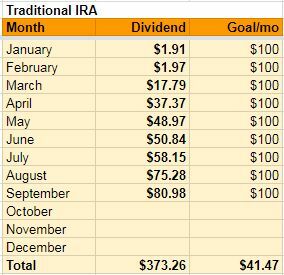 Our IRA account performed great. Our cash increased to $104,600.00 and we purchased a few new stock position in dividend growth stocks. Our net-liq is stagnating as we are opening new trades which lower it temporarily. As trades get to close net-liq will grow too. Our ROTH account is however showing signs of great improvement. Last year, we got into a few trades which went bad preventing us trading the account. If however, the trend of improvement continues we will be again trade ROTH more actively. Our TD account is still depressed but also getting better consolidating it. We made $5,998.56 dollars in September. Net-liq of all accounts increased by $5,625.27 this month. 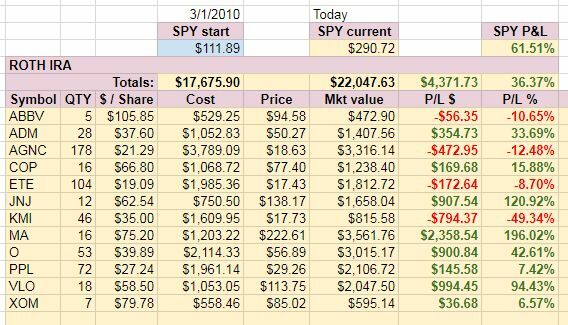 We post our trades on our Facebook page and we also post (or try to post when I have time to do so) our end of day trading results. 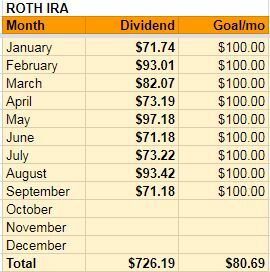 Dividend investing is doing great on both accounts – ROTH and IRA. 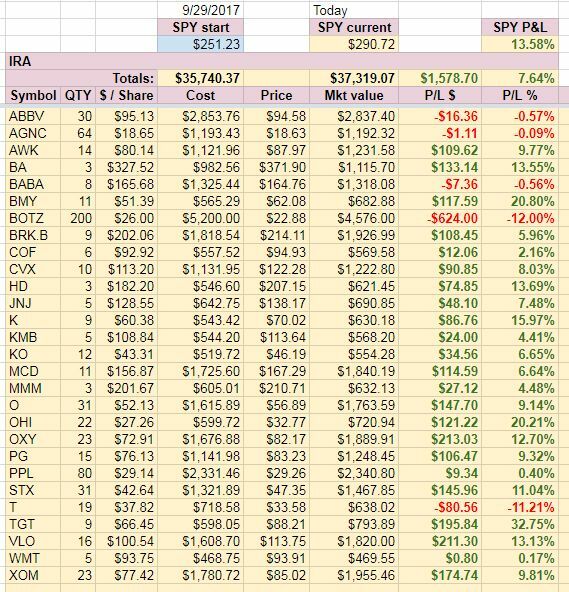 I keep using 50% of all options income and buy dividend stocks. IRA account keeps growing fast with new stocks being purchased every month. ROTH is more or less stagnant.